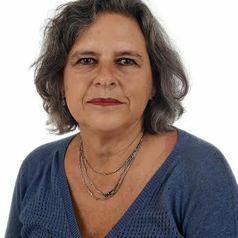 Professor Brenda Leibowitz is Chair: Teaching and Learning in the Education Faculty at the University of Johannesburg. Her key role in the university is to support the scholarship of teaching and learning amongst academics. She is presently convenor of the Teaching Advancement at University (TAU) Fellowships Programme and convenor of the South African Universities Learning and Teaching (SAULT) Forum. She is team leader for a national NRF funded project, “Context, Structure and Agency” and runs a project at the University of Johannesburg: SOTL @ UJ – Towards a Socially Just Pedagogy. She has edited several books on academic development and social justice in education. She was one of the founders of the Higher Education Learning and Teaching Association of Southern Africa (Heltasa) and served as the Chairperson for the first five years. She helped set up the CHE/Heltasa national Teaching Excellence Awards and was convenor of the committee for six years.